Thinking about Financing a Trailer? JTI Inc. offers a variety of financing for good credit, business credit and challenged credit. If you plan to finance a new trailer through JTI simply complete an application online and then see us to finalize your purchase. What is the amount of the loan you need? Lendmark Financial has a $2000 minimum and requires last paystub, and down payment of 15 to 25%. New Equipment Leasing allows the business customer to write off principle, taxes, and interest for the duration of the loan. Lendmark Financial Services offers revolving and installment loans. New Equipment Leasing does new and pre-owned trailers as well as snow removal equipment. Kage snow plow/boxes and Meyer plows and salt spreaders. New Equipment Leasing works with customers purchasing trailers or equipment regardless of make or model. *based on fico score of 750+ with approved credit and business tax id number tax and tags are not included. 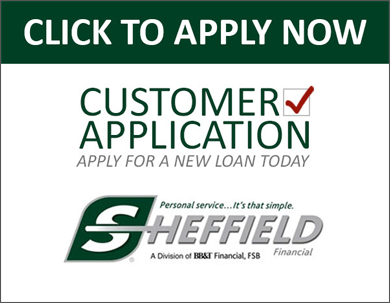 See the Sheffield Financing or Call Stephen Douglass for answers to commonly-asked questions.